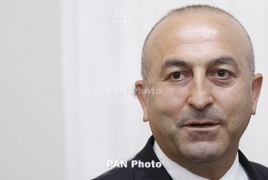 PanARMENIAN.Net - On Thursday, September 13, Turkish Foreign Minister Mevlut Cavusoglu penned a response to a New York Times op-ed that was released last week. Cavusoglu stated in the response that the U.S. should reassess who they consider their ally, while also claiming that the Washington-backed People’s Protection Units (YPG) had struck up an alliance with the Syrian government to retake the Idlib Governorate, Al-Masdar News says. “New reports suggest that the Y.P.G., a terrorist group operating from Syria that has received arms and aid paid for by American taxpayers, has forged an alliance with Mr. Assad and is sending troops as part of a deal brokered in July to help him recapture Idlib from the rebels,” he wrote. This is not the first time that a Turkish official has made this allegation; however, the YPG continues to deny Ankara’s claims. Furthermore, there have been no signs that the YPG is in fact preparing to participate in the upcoming Idlib offensive.